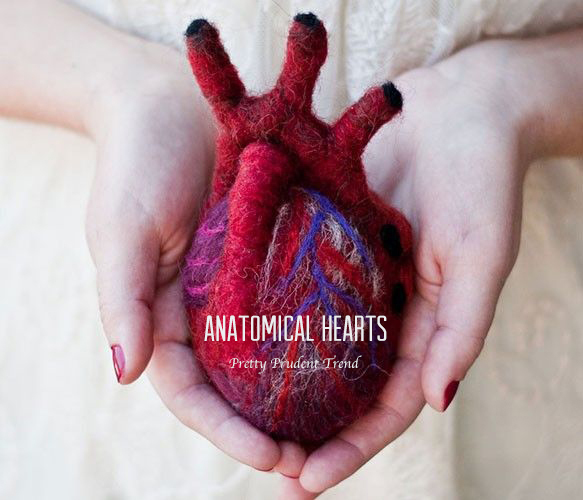 This Valentine’s Day learn the anatomy of love with anatomical hearts! You can find these lovelies on cards, cookies, bedspreads, and in absolutely gorgeous art prints. I have this one from The Black Apple hanging in our home. It’s one of my absolute favorites. When Jaime and Carleton were first dating she bought him an anatomical heart puzzle and wrote something special for Carleton on each piece (totally want to steal that idea). Surprise your sweetheart with a felted heart from Once Again Sam. Fill out this card from Steel Petal Press with a message from the heart. Make his/her heart race with heart cookies from Whipped Bakeshop. Embellish clothes with the Printable Anatomical Heart Template from Me Sew Crazy. Write a love note on the You Are Here Heart Card from Little Low. Wrap your gift with love in the Heart Wrapping Paper from Your Organ Grinder. 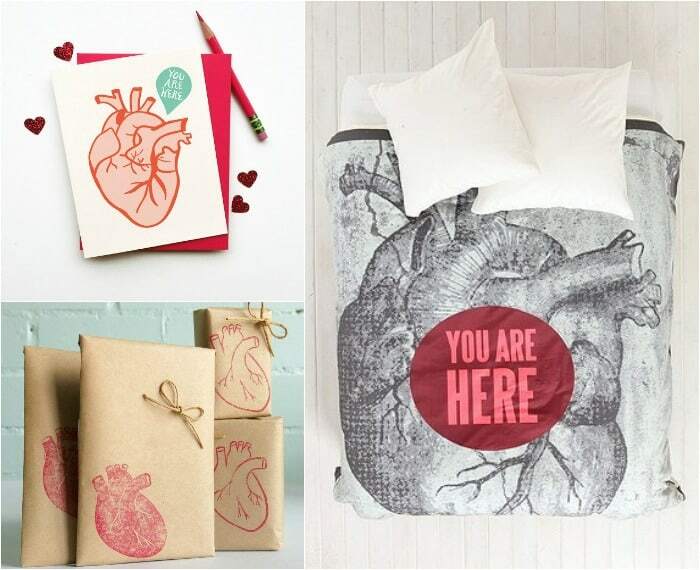 Curl up with your love under the Heart Bedspread from Urban Outfitters. Bring love into the home with the Baby’s Breath Heart Print or Watercolor Print from Mome Rath Garden. The Floral Anatomy Print from TinyArtShop is stunning too. I love the natural colors in the Tree of Life Print from Society 6 and the style of the Gotta Have Heart Print from Ork Posters. Celebrate Valentine’s Day with a Heart Pillow from Mome Rath Garden to add to your holiday decor. 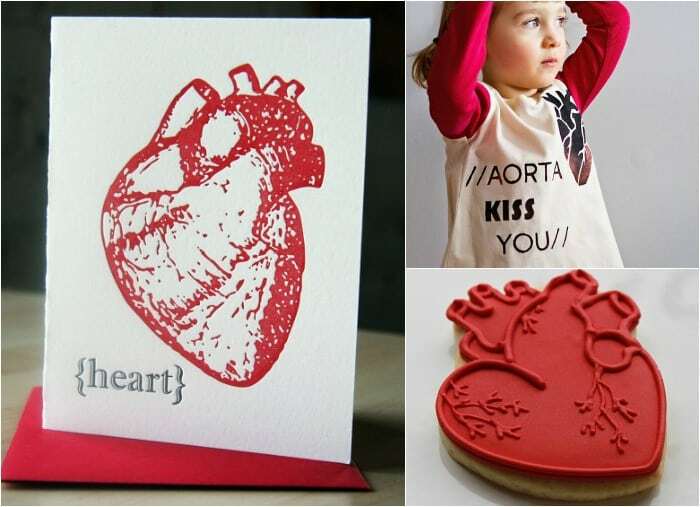 Great post, I love the anatomical heart trend too! I made a paperweight with a vintage anatomical heart print inside it for Valentine’s last year, with a vintage image: DIY heart paperweight. It was very well received, though I did get a comment on my blog at the time from someone who thought it was a bit creepy!